According to a report published in the Washington Post Saturday, the grim task of recovering the dead from Mosul’s rubble has been relegated to a “25-man civil defense unit with one bulldozer, a forklift truck and a single vehicle to carry the corpses.” The Post reports that the unit has “found hundreds of people suffocated under the ruins of their homes” after they were flattened by US air strikes. Most of the victims are reportedly women and children. The head of the civil defense unit, Lt. Col. Rabia Ibrahim Hassan, told the Post that he had asked the government for more equipment and resources, but had received no response. While vast resources were expended by the Pentagon on organizing the siege of Mosul and providing the arms and ammunition to lay waste to the city, it is by no means clear that either Washington or Baghdad has any plan to mobilize comparable resources to rebuild it. One Iraqi government official conservatively estimated that the cost of rebuilding Mosul would exceed $50 billion. The regime in Baghdad was compelled last May to negotiate a $5.4 billion standby loan with the International Monetary Fund, which demanded sharp austerity measures. The country’s economy contracted 10.3 percent in 2016 as a result of falling oil prices and the destruction wrought by war. 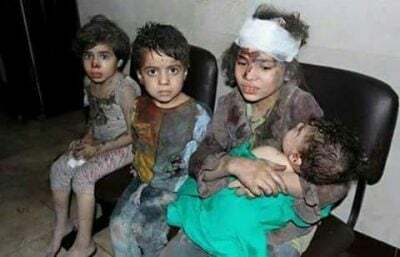 The scale of civilian casualties, the massive destruction caused by US bombs, missiles and shells, and the reported use by the American military of white phosphorous, a weapon internationally banned for use in populated areas, all point to a US war crime of historic proportions. This crime continues, as the survivors of the massacre in Mosul face collective punishment at the hands of US-backed forces. According to the International Organization for Migration, the nine-month siege forced 1,048,044 people to flee their homes. As of last Friday, according to the IOM, fully 825,000 remained displaced by the offensive. Return for the majority of these internally displaced war refugees is impossible. Many have no homes to return to as a result of the US air strikes. Most of the city lacks access to water and electricity, food is scarce, and schools and hospitals have been destroyed. Meanwhile, the wreckage of the city is littered with unexploded ordnance. It is estimated that at least 10 percent of the high explosives dropped and fired into Mosul by the US-led “coalition” failed to detonate, meaning there are thousands of bombs and shells waiting to go off, on top of the booby traps left behind by ISIS. Experts have warned that it could take a decade to clear the city of explosives. As for young men found in and around Mosul, there are increasing reports of summary executions, torture and abuse at the hands of the Iraqi security forces and allied Shia militias. A video posted on the Mosul Eye Twitter account, set up by an independent historian in Mosul who has documented the city’s destruction, shows members of the Iraqi security forces dragging men to the edge of a 30-foot parapet, throwing them off it and then pumping automatic weapons fire into their bodies. Other disturbing videos show a gang of soldiers beating a teenager to death and a member of the security forces stabbing a prisoner repeatedly in the face and neck. The same US and Western media that endlessly denounced last year’s Russian-backed siege of Aleppo by the Syrian government as a war crime have, for the most part, chosen to ignore crimes of a more massive scale carried out against the people of Mosul. In the first instance, the media was mobilized in defense of the Islamist militias holding eastern Aleppo because they were fighting as part of the CIA-orchestrated war for regime change in Syria. In the second, the destruction of Mosul was hailed as a “victory” and even “liberation,” because similar Sunni Islamist fighters had challenged the US-backed regime in Baghdad. Nothing could more clearly expose the duplicity and hypocrisy of US foreign policy in the region and the functioning of the corporate media as the obedient propaganda arm of American militarism.